The final $500 million tranche was received by Egypt as part of a $1.5 billion African Development Bank (AfDB) loan in support of the country’s economic and social reform programme, a statement by the Ministry of Investment and International Cooperation read on Friday. 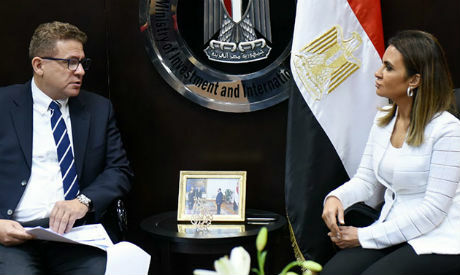 In an official press release, Egypt’s Minister for International Cooperation and Investment Sahar Nasr confirmed the country received the final tranche from the loan which will contribute to supporting development projects in order to meet the needs of Egyptian citizens. The three-tranche loan package, which was first signed in 2015, is aimed at supporting government programmes to achieve comprehensive economic and social development, enhance social justice by offering job opportunities, and improve the business operating environment. It signed the third and final tranche deal last January, several months after it received the second tranche in 2017. “The continuous support of the AfDB and other international financing institutions deliver a strong message which asserts that the Egyptian economy is moving steadily towards accomplishing sustainable and comprehensive development,” Nasr said, stressing that the bank trusts the measures undertaken by the Egyptian government. Egypt’s economic reform programme, which included cutting subsidies and the introduction of new taxes such as the value-added tax and the liberalization of the local currency, all assisted Egypt in securing a $12 billion loan package from the International Monetary Fund in November 2016. The country's foreign reserves stand at $44.42 billion as of end of August.